About: NMIMS Programs after Twelfth (NPAT) is a National-level selection test for aspirants looking for admission into Undergraduate Courses and Integrated Degree Programs in Narsee Monjee Institute of Management Studies (NMIMS). Introduction: The NPAT examination is the official entrance test for courses offered by constituent schools of SVKM's Narsee Monjee Institute of Management Studies (Deemed to be University) at Mumbai, Shirpur, Hyderabad, Bengaluru, Indore, Dhule and Navi Mumbai campuses. 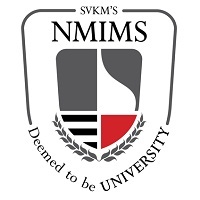 NMIMS is a standout institute amongst the best colleges in India and gives different subject alternatives to the competitors. BA (Hons.) in Liberal Arts. Integrated Courses: The MBA Tech (B.Tech + MBA Tech) and B.Pharm + MBA (Pharma. Tech). Seats: Around 1820 seats are accessible for aspirants looking for admission in the undergrad program and 710 seats in the PG program through the NPAT Exam. Syllabus and Pattern: The syllabus and pattern for the NPAT examination are based on the 10+2 subjects. NPAT exam pattern is different for Engineering and Non-Engineering programs. Age Limit: Applicants Exceeding 25 years of age are not qualified for applying for the Exam. NMIMS NPAT 2019 Exam Date: NPAT 2019 will be conducted on 11th May 2019 and 12th May 2019. NMIMS Registration 2019: NPAT 2019 Application form is available on the official website and candidates can apply and complete their registration process up till 29th April 2019. Applicants who have passed 10+2 or equivalent examination from Open or Distance learning (ODL) can also apply, yet the school must be approved by the National Institute of Open Schooling (NIOS). NPAT Registration: Registration for NPAT 2019 will start from 2nd January 2019 and the last date of NPAT 2019 application form is 29th April 2019. NPAT Admit Card: The NPAT admit card will be issued to the applicants from 7th May 2019. Exam Date: The NPAT 2019 will be held on 2 days which are 11th May 2019 and 12th May 2019. The exam will be conducted through online mode. Get more information about dates in the NPAT 2019 Important Dates section. Age Criteria: The age limit for NPAT 2019 is 25 years. Qualification: Completed or pursuing 10+2 examination with English as a compulsory subject & secure at least 50% marks in PCM. Know more about the NPAT 2019 Eligibility Criteria. Subjects: The syllabus for the NPAT 2019 examination varies from streams to stream. The level of the syllabus is of 10+2 for each paper. Sections: The NPAT 2019 Common/non-engineering paper has 3 sections, they are Language skills, Quantitative and numerical ability, Reasoning and general intelligence. NPAT 2019 Engineering paper has 5 sections. Design Paper of NPAT 2019 will have sections such as Spatial ability and Visualization, Observation and problem solving, General awareness and Design. The syllabus for Mathematics section is tabulated below. The candidate has to finish this section in a span of 30 minutes. The syllabus for Physics section for NPAT Exam is provided in the table below. The time allotted to the candidates to attempt this exam is 30 minutes. The syllabus for the Chemistry section is tabulated in the table below. 30 minutes will be provided to the candidates in the NPAT exam to attempt it. The syllabus for the logical intelligence is provided in the table below. The time allotted to attempt for this section is 20 minutes. Data Interpretation: Be able to use the information given in graphs and charts to answer questions. The syllabus for Proficiency in English section has been provided in the table below. The section will have to be attempted by the candidate within 10 minutes. Error Recognition: Recognising grammatical structure and usage. Know more about the syllabus for B.Des and other Non-Engineering courses, please refer to the NPAT 2019 Syllabus section. Mode and Duration: Mode of NPAT 2019 exam is Online i.e. Computer-based Test (CBT). There are 2 papers for NPAT. Paper-I is of the duration of 100 minutes and Paper-II will be of 90 minutes. Paper-I will contain the Quantitative & Numerical Ability, Reasoning & General Intelligence and Proficiency in the English Language. Whereas, the Paper-II will contain the Spatial Intelligence and the Visualization Skills, Observation and Problem Solving and General Awareness and Problem Sensibility. Paper-I will be attempted by the candidates who want to go for the non-engineering courses like B.Pharma + MBA (Pharma Tech), BBA, B.Com (Hons. ), B.Sc Finance, B.Sc Economics, B.Des (Humanising Technology), BA (Hons.) Liberal Arts, B.Sc Mathematics, B.Sc (Applied Statistics and Analytics). The candidates who are appearing for the B.Des (Humanising Technology) course have to sit in both the papers i.e Paper-I and Paper-II. Know more about exam pattern, please feel free to go to the NPAT 2019 Exam Pattern section. Registration: Registration for the NPAT 2019 will start from 2nd January 2019 and the last date is 29th April 2019. Process: The candidates have to visit the official website and fill their personal details. A unique NPAT login ID and password should be created and used for the main registration process. Candidates have to enter his/her educational details and choose an exam centre after logging in. Candidates have to check the entered information and click on the final submit button. For more information about the application form, do visit the NPAT 2019 Application Form. Selection: At the time of Registration, a candidate is required to choose 3 NPAT 2019 Test Centres which is applicable to both days. No change: Candidate must note that he/she cannot change the exam centre after submitting the first choice. For more information about test centres and their location on a MAP, visit the NPAT 2019 Exam Centres section. Seat allotment: Seats in different programs will be allotted to qualified candidates as per NPAT merit list, choice and availability of discipline. Requirements: For the counselling, the candidates are required to keep their admit card and score card handy and in proper condition. For more information about the counselling process and dates, see the NPAT 2019 Counselling section. NPAT 2019 Application form: Registration for the NPAT 2019 will start from 2nd January 2019 and the last date is 29th April 2019. Admit Card: The NPAT 2019 Admit card will be issued from 7th May 2019. Exam Date: The NPAT 2019 exam will be held on May 14th and 15th, 2019. NPAT Merit list: The NPAT 2019 Merit list will be declared on June 2nd, 2019. The fees can be paid from June 3rd to June 10th, 2019. The NPAT second merit list will be declared on June 13th, 2019. The fees can be paid for the Second Merit list from June 14th to June 20th, 2019. The third NPAT merit list will be declared on June 22nd, 2019. The fees can be paid for the Third Merit list from June 23rd to June 30th, 2019. The admissions will close on July 12th, 2019. Age criteria: Applicants above 25 years of age are not eligible. The candidates applying for the class 12 examination can also apply. Eligibility criteria regarding the B.Tech and MBA (Tech) course: Candidates should have passed their 10+2 examination including Indian Baccalaureate (IB) Diploma with English. Candidates with IB Diploma should have offered Mathematics at the higher level (HL). Candidates should have scored minimum 50% in PCM in class 12 or any equivalent examination for admission in Mumbai campus. Candidates should have scored minimum 45% in PCM in class 12 or any equivalent examination for admission in Shirpur campus. Candidates with a diploma in engineering with minimum 50% are eligible to apply.Candidates who have passed their 10+2 examination or equivalent exam from Open or Distance learning (ODL) School recognized only by National Institute of Open Schooling (NIOS) can apply for the program. Eligibility Criteria Regarding MBA Pharma Tech (B.Pharm+MBA) Course: Candidates must have passed their 10+2 examination or any equivalent exam including Indian Baccalaureate (IB) Diploma in Physics, Chemistry and Mathematics (PCM) or Physics, Chemistry and Biology (PCB) with English. Candidates should have scored a minimum of 50% marks in PCM/PCB to be eligible to apply for the course. Eligibility Criteria Regarding B.Sc Economics Course: Candidates must have passed their 10+2 or any equivalent exam with minimum 60% marks in the first attempt including Indian Baccalaureate (IB) Diploma in any stream. The candidate should have passed Mathematics / Statistics in 10+2 or any equivalent exam. Eligibility Criteria Regarding B.Sc Finance/ B.Com (Hons. )/ B.B.A: Candidates should have passed their 10+2 examination or any equivalent exam with minimum 50% marks in the first attempt including Indian Baccalaureate (IB) Diploma in any stream. The candidates should have passed Mathematics / Statistics in 10+2 or any equivalent exam. Registration Date: The registration process for NPAT 2019 starts from March 10, 2019 and the last date to apply for the NPAT exam is 2nd January 2019. Scanned Images: Scanned copy of the signature JPEG format and the dimensions are 200 pixels (height) x150 pixel(width), Scanned copy of the passport size photograph JPEG format and the dimensions are 200 pixels (height) x150 pixel (width). Documents Required: The documents required for the application process are a valid age proof such as driving license or Aadhar card, Class 10th and 12th Mark sheets and Class 10th certificate for Date of birth proof. Fee: In the last step, the candidate has to pay the fees using Debit/credit card/ Online Payment or Demand Draft. The application fees depend on the number of schools applied. Registration date: The NPAT registration begins on March 10th 2019 and ends on 29th April 2019 and Candidates can apply for the exam through online mode only. Process: A candidate is required to log in using User ID and Password. Candidates have to fill the application form and scan the required documents properly to avoid cancellation of candidature. Details Required: Candidates should fill all the fields in application form such as Name, DOB, Father name, Age, Phone number, etc. Documents: Valid age proof such as driving license or Aadhar card, Class 10th and 12th Mark sheets. Class 10th certificate for Date of birth proof is mandatory. Date: The NPAT 2019 admit card will be available from 7th May 2019 on the official website. Process to Download: The NPAT 2019 admit card can be downloaded from the official website. It will not be sent by post or email. Candidates have to visit the official website and log in. Candidates have to enter their email ID and password and click on "Show NPAT Admit Card". The admit card must be downloaded and printed. Mandatory: The candidates need to write to the Office of the registrar by email, phone or fax in case the admit card is not available. Exam type and Duration: The NPAT exam consists of 150 Multiple Choice questions with a duration of 2 hours to solve and answer. NPAT exam Sections: The NPAT sections are Proficiency in English Language, Quantitative & Numerical Ability and Reasoning & General Intelligence. Subject wise mark allocation: Proficiency in the English language carries 50 marks, Quantitative & Numerical Ability carries 50 marks and Reasoning & General Intelligence carries 50 marks. Syllabus: The syllabus is based on the 10+2 syllabus. Subjects: NPAT syllabus consists of Language skills, Quantitative & Numerical Ability, and Reasoning & General Intelligence. Topics in the individual subject: Language skills: The main topics are as follows Reading Comprehension, Passages, Poems, Synonyms, etc. ; Quantitative & Numerical Ability: The main topics are as follows Arithmetic, Algebra, Trigonometry, 2D and 3D Geometry and Statistics, etc. ; Reasoning & General Intelligence: The main topics are as follows Coding and Decoding, Strong arguments & Weak arguments, Series, Family tree, etc. Result Date: The NPAT results will be Declared in the first week of June.. Result checking Procedure: Candidates have to visit the NPAT website and click on the desired program. Candidates have to fill in their NPAT ID and Date of birth and click on submit. The results will be displayed on the screen. It will not be sent to the candidate by post. Merit List: The merit list will be based on the marks scored by the candidates. Merit List Release Date: The first merit list will be released in the First week of June, 2019. The second merit list will be released in the Second week of June, 2019. If there are any seats left then there will be a third merit list which will be released in the Third week of June, 2019. Counselling date: The counselling process will be from June 15th, 2019 until June 30th, 2019. A candidate must score marks above the NPAT 2019 cutoff to get admission. Documents required: The candidates have to keep their admit card and scorecard with them while counselling begins. Merit lists: The merit lists are prepared on the basis of the candidate's performance. The seats will be allotted on the basis of the merit lists. Fee payment: Admission fee has to be paid to confirm the allotted seat. I gave NPAT to get the admission. He should have a minimum of 60% along with maths as a subject in 10+2. The admission is given according to the ranks of the children. A student should have a minimum of 70% of marks in 12th Board with an aggregate of 60% marks in Mathematics. A student also has to write NPAT entrance exam. Admission is done on the basis of merit list of top 500 rank holders in NPAT entrance exam. The entrance exam to be taken is NPAT which is an internal exam of NPAT college. The syllabus is basic maths, logical and critical reasoning. Eligibility criteria are that u should have passed your 12th standard and should secure at least 50% in Physics Chemistry and Maths. You get a rank in your NPAT according to which you are called to the college and if the slot in that branch is available, you will get the seat. The college releases cut-off list for the respective disciples every year. NPAT, DU JAT, IIM-IPM, GGSIPU are the main entrance exams. The cut-off mark is near about 96.3%. To be eligible for the program, we should have mathematics as our subject in 11th and 12th grade. For admission, there was an entrance exam (NPAT) and on the basis of our merit number in NPAT, we were given admission. Sectional cut off in NPAT 2018 Result? Sectional cut off will be mentioned in Score card of NPAT 2018? Yes, Sectional Cutoff marks will be mentioned in NPAT 2018 Score Card. To know more about NPAT Results, click here. What is the normal time of NPAT result-2018? Normal time for NPAT 2018 Result is the month of June. Click here, to know important dates. Can I get admitted for MBA Pharma Tech courses in NMIMS Mumbai through NPAT 2017? Yes, it is possible to get an admission at NMIMS Mumbai Campus through NPAT. Aspiring individuals can get an admission for MBA Pharma (B.Pharm + MBA) through NMAT 2017 at the NMIMS Mumbai Campus. Programs offered by NPAT 2017? Institutes participating in NPAT 2017? Mukesh Patel School of Technology, Management, and Engineering, Mumbai. How many seats are available in NPAT 2017? Around 1820 seats are available for candidates seeking admission in the undergraduate program and 710 seats in the integrated program through the NPAT Exam. When is Program NPAT 2017 taken place? The national level NPAT entrance examination is conducted in May and is followed by the NPAT counseling session. What is Program NPAT 2017 about? The NPAT examination is the official entrance test for courses offered by constituent schools of SVKM's Narsee Monjee Institute of Management Studies (Deemed to be University) at Mumbai & Shirpur Campuses. The candidates need to fulfill the NPAT eligibility criteria to appear for the same. What is the Seat available for the NPAT 2017?